According to the Chicago Tribune’s Mark Gonzales, Chicago White Sox starting pitcher Mark Buehrle could be leaning towards retirement when his contract expires after the 2011 season. “But when next year gets here and knowing you’re going to walking away from the game, knowing if I have something left or not, I have to hope that first of all, I’m healthy,” Buehrle said Wednesday. “And second, someone wants to sign me. Obviously, it’s a plus if that is. And obviously it’s going to be harder to make a decision. In baseball, one of my all-time favorite expressions has always been, “the ugly finder.” When someone ripped a foul ball into the opposing team’s dugout, it was “the ugly finder;” an expression that is a true testament to both the hilariousness and competitiveness of baseball players. 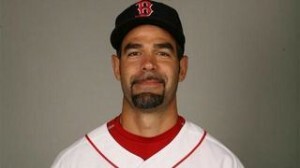 During last Friday’s game against the Yankees, the Red Sox Mike Lowell redefined the term “ugly finder,” after receiving one of the worst hops that I have witnessed on a baseball field. With the Reds just a lone win away from clinching the National League Central, every pitch thrown in tonight’s game against the Astros has had a postseason feel to it. The 30,000+ in attendance at the Great American Ball Park are buzzing from the anticipation of the Reds returning to the postseason for the first time in 15 years. For passionate Reds’ fans like the Somebrero’s good friend Clint–from DiamondHoggers.com–tonight’s game carries an extra significance.